One of five small unincorporated villages in the town of Hartford, Vermont, Quechee has a population of less than 700 residents. Located in the west of Hartford and on the Ottauquechee River, Quechee is known for its beautiful covered bridge located at the site of the old Quechee Mill. The bridge was destroyed by Hurricane Irene in 2011, but has since been rebuilt. 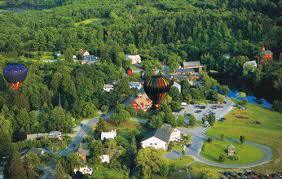 Quechee is also home to Quechee State Park, which contains Vermont’s deepest gorge. The village of Quechee covers a small area of just 1.9 square miles and has a population density of about 350 residents per square mile. The following will take a look at some of the pest problems residents of Quechee may face and highlight some reputable pest control agents in the area. Quechee’s climate, like that of much of New England, is classified as a ‘humid continental’ climate zone. This area experiences distinct seasonality with wet springs, mild summers with hot Augusts, mild to cool falls and cold winters. Precipitation in Quechee is moderate, averaging around 40 inches per year. The area is vulnerable to severe storm and hurricane activity, with Hurricane Irene making landfall in 2011. The conditions see moderate insect activity in the summer and the likelihood of pests taking to homes during winters and extreme weather events is high. Quechee experiences many of the pest problems typical to the rest of New England, such as rodents, ants and termites. Rodents, such as rats and mice, are often active in Quechee homes during the late fall and winter, as they seek warmer conditions to nest. These critters can breed quickly to produce large populations that raid food stores, spread diseases and chew through wiring, making them particularly unwanted house guests. If found in the home, rodents can be addressed using DIY measures, such as traps and poison, however, these methods can have mixed results. To keep rodents from entering a domicile, care should be taken to keep potential indoor nesting areas to a minimum, maintain a clean residence and to seal off any outside points of entry greater than a quarter of an inch wide. Termites are another pest problem that can give residents of Quechee headaches, and are a potentially more serious problem than that of rodents. Termites can burrow into the very fabric of a structure and eat away at the lumber therein. There, they colonize and feed on the wood, which can lead to severe structural damage being caused to a building and, subsequently, an enormous burden of repair for the owner. Termites can be hard to detect to the untrained eye, however, it pays to make regular inspections of a building to check for signs of termite damage. One of these is the presence of sawdust like termite excrement that can be typically found near an infestation point. Another is any obvious signs of damage to the wood of a structure, or signs of the termites themselves. If termite presence is detected, it is best to contact a license exterminator who can take care of any infestation present and schedule periodic inspections to prevent the problem from becoming as serious in the future. There are a few licensed pet control agents in the Quechee area that can provide reliable services for issues relating to rodent and termite infestations, and more. These include AAC International and Terminix Pest Control.